Have you ever wondered about the different clones of a grape variety? 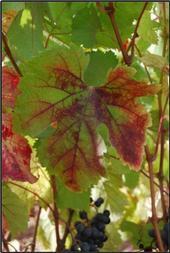 Or are you looking for a nursery where you can purchase a specific grape variety? With all the news about Grapevine Red Blotch, I’ve been linking to the UC Integrated Viticulture website quite frequently. In November, Grapevine Red Blotch Disease was announced by University of California, Davis scientists, Mysore Sudarshana and James Wolpert. The disease was discovered after grapevines that appeared to be exhibiting symptoms of Leafroll Disease tested free of Leafroll and Rugose Wood viruses.